Twenty weeks. Dozens of items. Roots, fruits, greens — oh my! 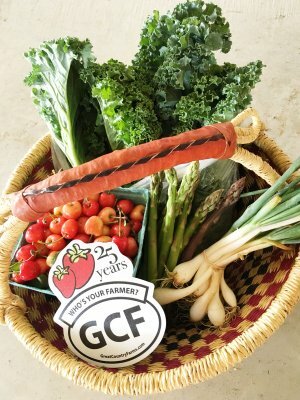 I’m excited about my CSA membership, but I’m also a little nervous –how do I make the most of this great food? Well, here are a few suggestions. stomary meal plan. Be sure to read Crop Talk every week so you know what’s coming and you have a chance to prime your tastebuds. Don’t forget your you-pick bonus. Those extra items can increase the size of your share by up to 25%. If you don’t have time to pick yourself every week, organize a you-pick rotation with other members so you can enjoy your bonus even when you’re super-busy. Try freezing. Mother Nature sometimes blesses us with bumper crops of items that don’t last very long in their natural state, but you don’t have to eat them all at once. If you get carried away and pick a huge bag of spinach, or beans, or broccoli, you can freeze some for later. Click here for instructions on fast, easy freezing techniques. Get acquainted with your food. Learning about different kinds of greens or about different members of the brassica family actually makes them more nourishing and more valuable by elevating that status in your mind. What you think about your food can change what you get out of it. 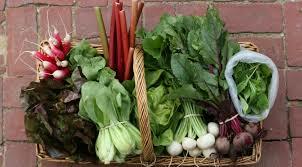 Embrace the community aspect of Community Supported Agriculture. CSA can be a challenge sometimes — this stuff just keeps coming, week after week! How do you handle it all? Fellow CSA members are great sources of information and inspiration–not to mention friendship! 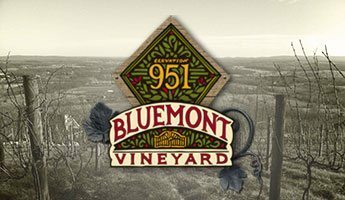 And don’t forget that the Great Country Farms community includes Bluemont Vineyard and Dirt Farm Brewing. Click here to join our 2017 CSA program.